BH was the first to offer education pullouts to help students in Malaysia since 1993. 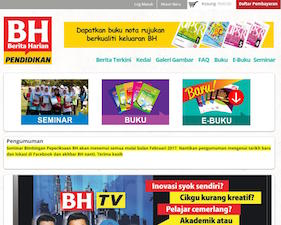 BH publishes a series of weekly education pull outs to help students. 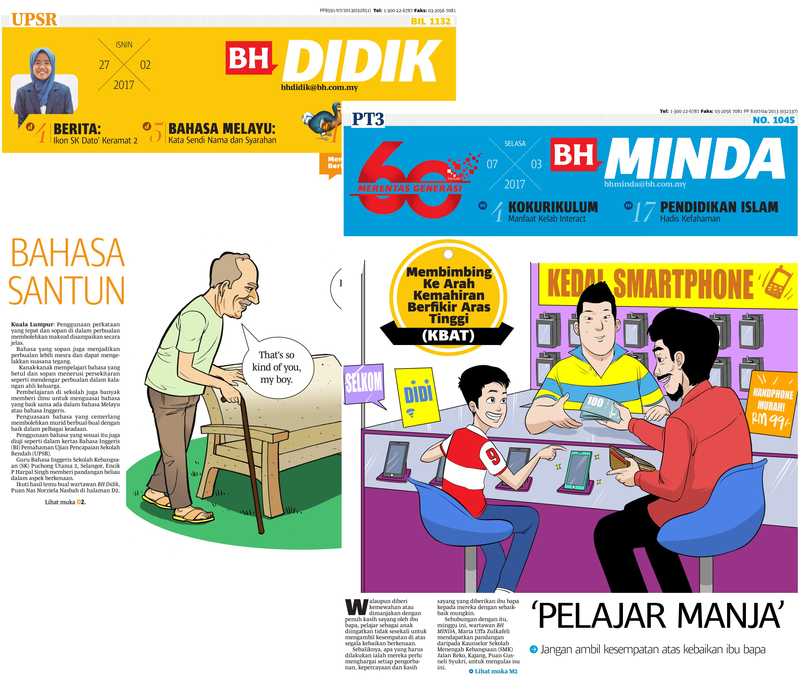 Didik helps students who are sitting for the Ujian Pencapaian Sekolah Rendah (UPSR) and is published every Monday. Minda caters to students sitting for the Pentaksiran Tingkatan 3 (PT3) examination and is published every Tuesday. Meanwhile Skor which is for students sitting for the Sijil Pelajaran Malaysia (SPM), is published every Wednesday. Varsiti is a pullout for university students and is published every Thursday. BH Pendidikan also offers workbooks and e-books for students who sit for UPSR, PT3 and SPM examination. Examination workshops and seminars are also conducted to help students to excel in the UPSR, PT3 and SPM examinations. The Akhbar Dalam Darjah (ADD) workshops use the newspaper as a teaching tools in the teaching and learning process to make it more effective and interesting. BH Pendidikan Unit also organizes Anugerah Pelajar Cemerlang BH (APCBH), APCBH is open to all participants who have participated in the seminars organised by BH. It is to acknowledge the students’ achievement in their examination.